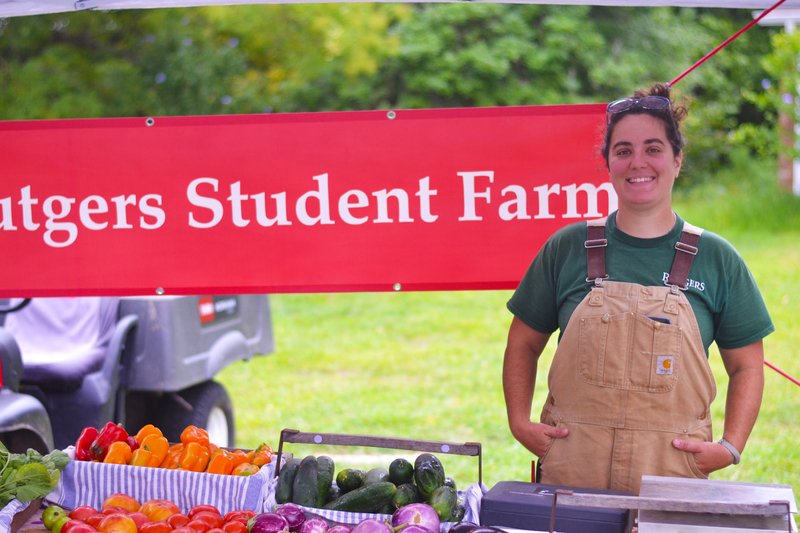 The farmers market at Rutgers Gardens began as a student-led project with nine vendors. Ten years later, the market moved into its new home, Cook’s Market. We are grateful to all of the donors who supported the permanent structure, which provides protected space for vendors and customers to shop. Today the market features more than 25 vendors, including the Student Farm at Rutgers Gardens, which demonstrates land stewardship by practicing sustainable growing practices and providing our communities with quality, nutritious food. We believe in supporting our local farmers and food artisans. Cook’s Market offers a variety of local produce, meats, cheeses, baked goods, and wine and in doing so, promotes a healthier environment. Opening Day for the 2019 Season is May 3rd! 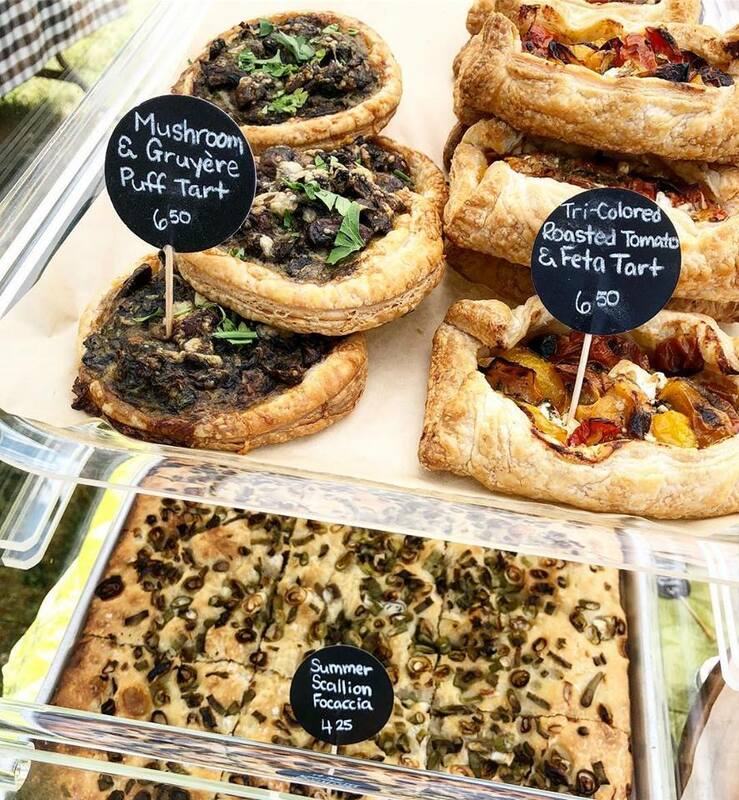 Join us as we celebrate the first day of the 2019 market season in our new home Cook’s Market. The market begins at 11. Be sure to be here by 12 for the festivities which include a spotlight on the 3 varieties of sweet basil that Rutgers released in 2018. Rutgers researchers Jim Simon, and Andy Wyenandt will be on hand to answer questions about their research. The first 300 shoppers will receive one of the new release plants to take home for their own garden; Rutgers Obsession DMR, Rutgers Devotion DMR, Rutgers Thunderstruck DMR. 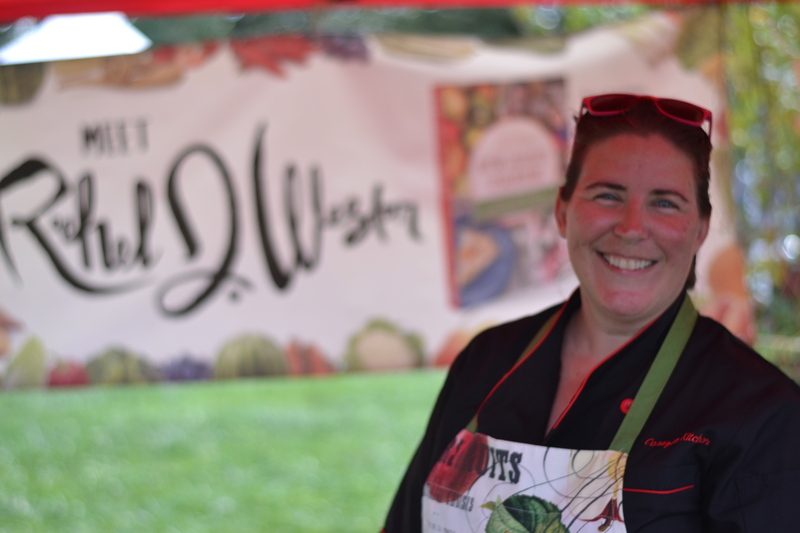 Rachel Weston will also be here cooking her recipe of the day. 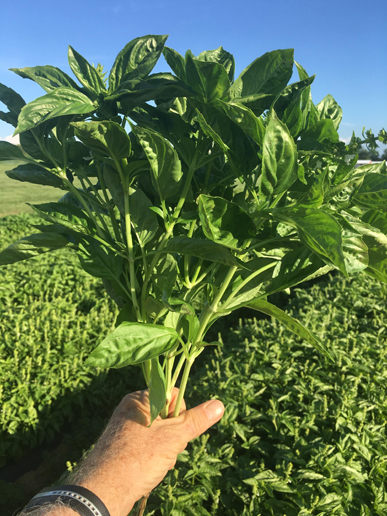 Also check out which of the vendors are using basil in their recipes this week. Of course there will be children’s activities and games provided by the Rutgers Gardens youth programs staff and volunteers. See what is happening each week at the Cook’s Market. 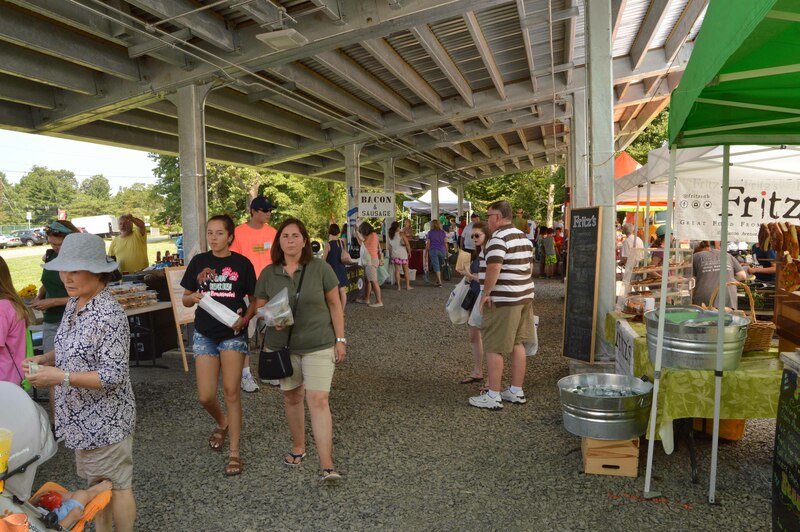 The purpose of Cook’s Market at Rutgers Gardens is to provide a well-managed and organized marketplace for both the local farmer/producer and patron. 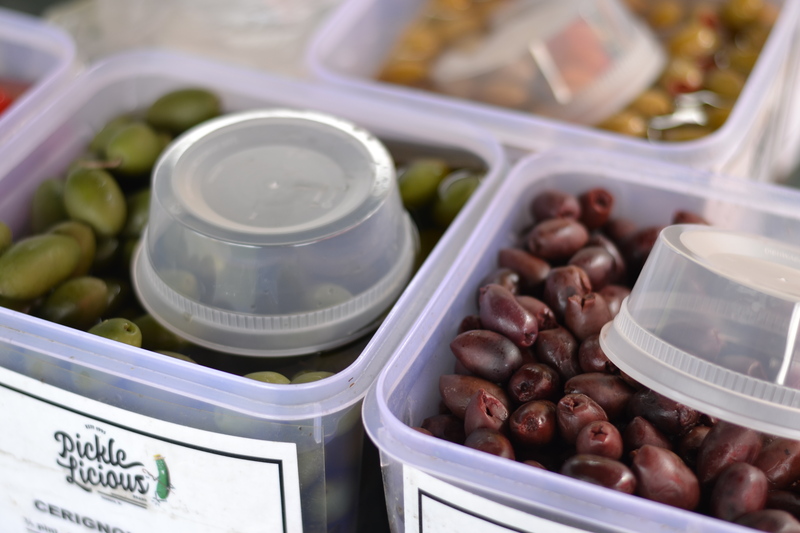 Our aim is to encourage the development of local agricultural and specialty products, as well as promote local economic development and community building through educational and family-friendly activities. 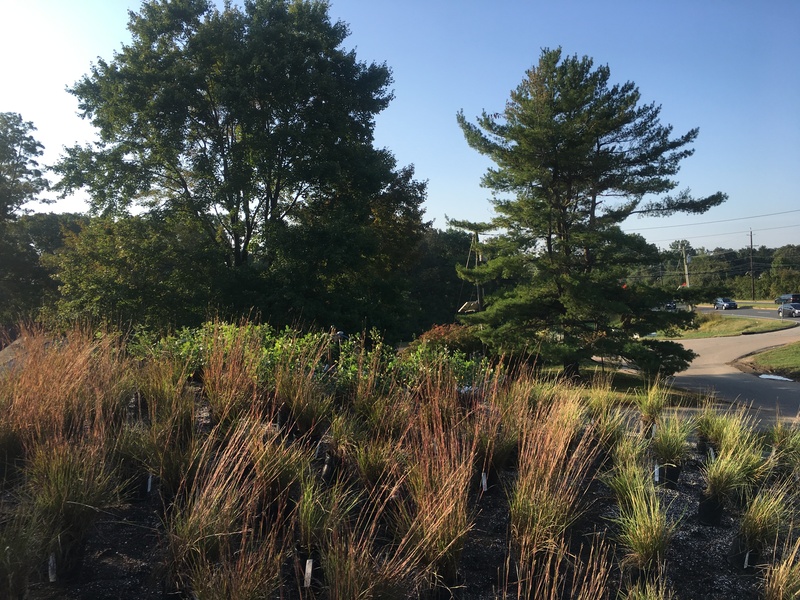 The green roof on top of Cook’s Market features interlocking sweeps of mostly native plants, such as Little Blue Stem (Schizachyrium scoparium), Purple Coneflower (Echinacea pallida), and Mountain Mint (Pycnanthemum incanum). 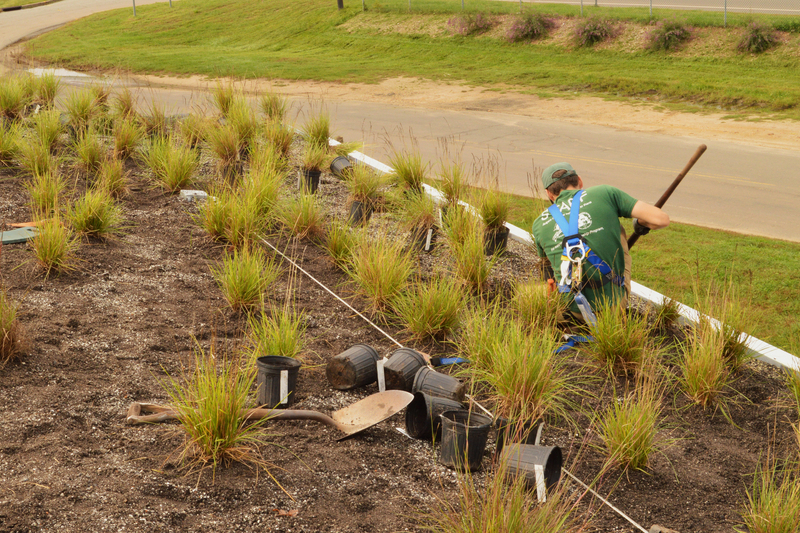 These plants provide food and habitat for native pollinators, while adding a burst of color at the Rutgers Gardens entrance. Non-natives, such as Catnip and Autumn Moor Grass are included to ensure long periods of color. 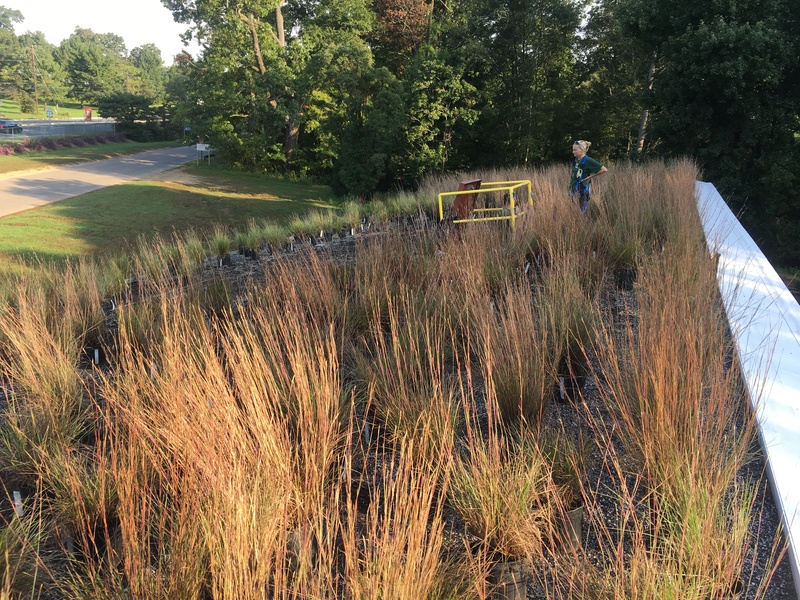 The green roof also reduces reflected heat during the summer and slows stormwater runoff, reducing damage to streams and creeks.